Today P&O Cruises have announced that due to strong winds in Northern Europe the UK-based cruise line has had to cancel an upcoming two night cruise which was supposed to begin this Sunday. The ship is currently being refurbished in Germany to prepare the ship for a world cruise 2014. The announcement was made via the cruise lines Facebook page. The ship has been at the Lloyd Werft shipyard in Germany since November 26th and is getting some new onboard features which will include a general improvement to staterooms, improved tax & duty-free shops and a new Atul Kochar restaurant. The upgrades will be a welcome addition to the fleet and will keep the ship fresh. P&O Cruises will also be launching the P&O Britannia in 2015 which is set to bring even more features to the fleet. 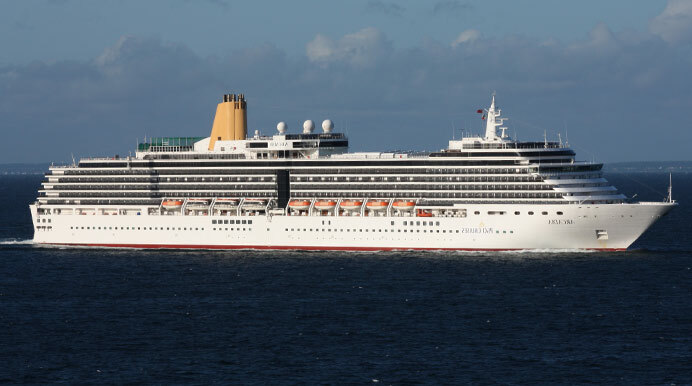 Let us know what you think of the cancellation of the P&O Arcadia cruise.